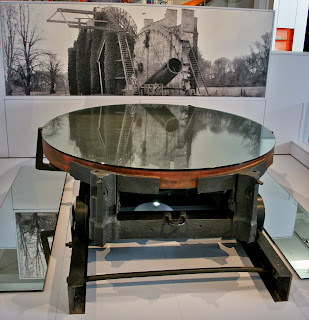 Exhibiting the 6ft diameter circular mirror and caddy from the Great Rosse Telescope (Circa 1850-52) at Birr Castle, County Offily, Ireland - at the time of its construction the largest telescope in the world. 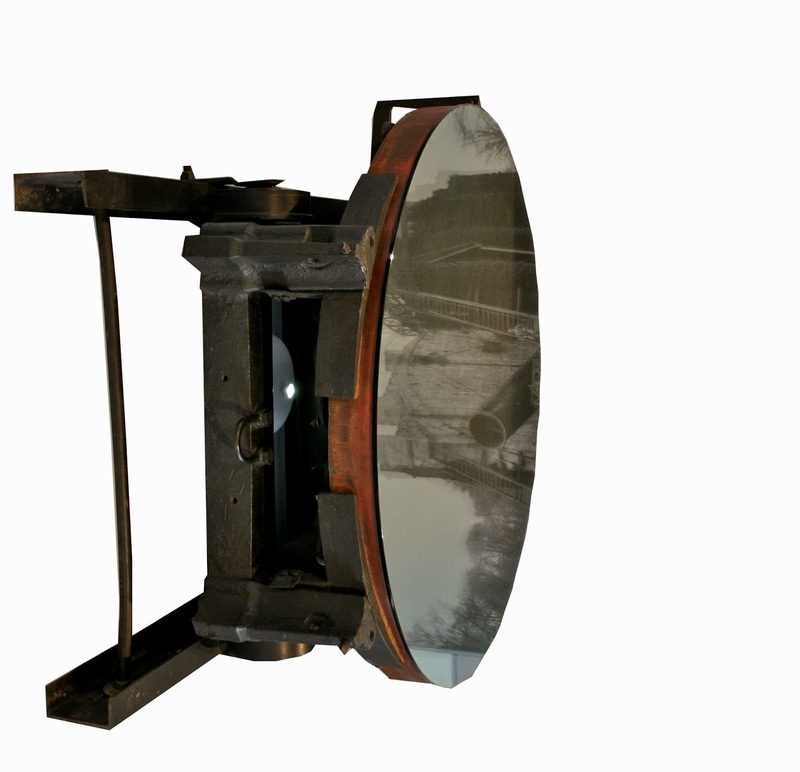 The Mirror in its caddy is now in the archives of the Science Museum, London. This is number 6 in a series of works where I remove a mirror from its current location and bring it into an exhibition space. Previous versions include the mirror from the hall in my parents house and a number from a dolls house furniture shop. The mirror is to be mounted on the wall by the beams of the caddy, in the above orientation, so the glass is parralel to the wall. YOUR INPUT: This can go anywhere in the gallery, although the other mirror must be visible reflected in it - perhaps opposite each other creating an infinite repetition.